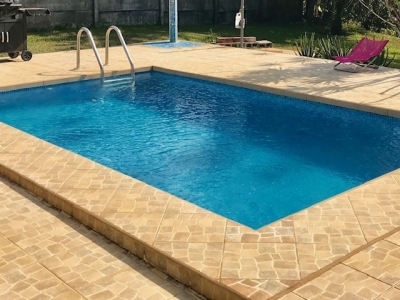 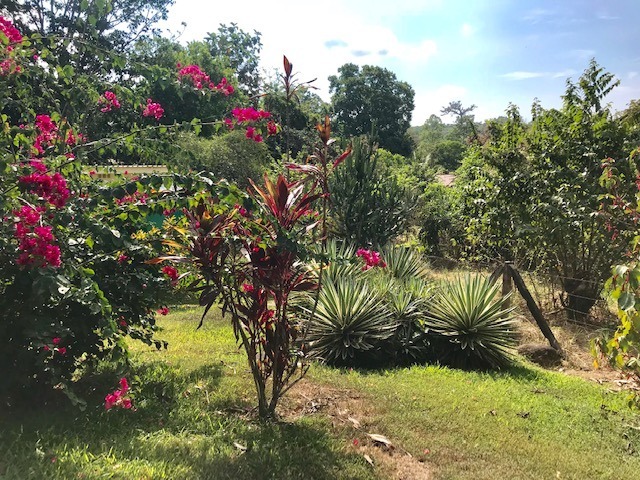 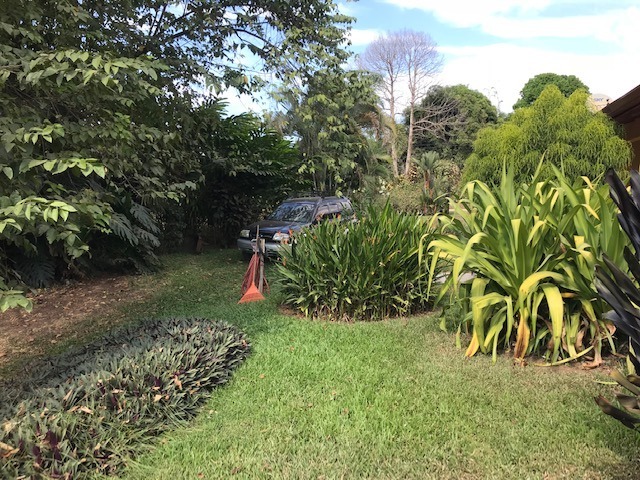 0.56 ACRES – 2 Bedroom Home With Pool Plus 1 Bedroom Guest House In Ojochal Village!! 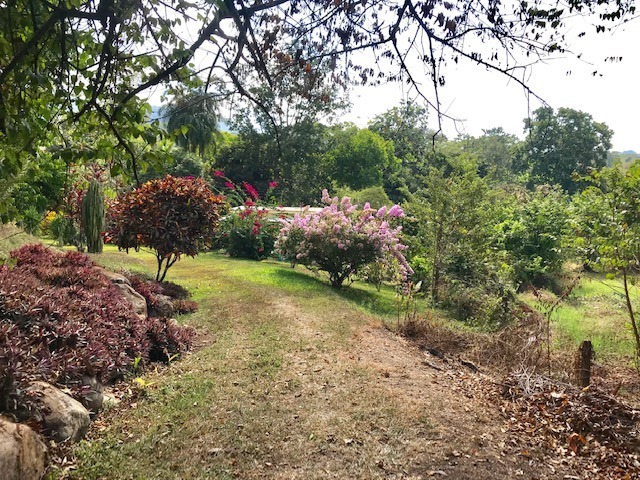 Just listed, this property is located in the village of Ojochal. 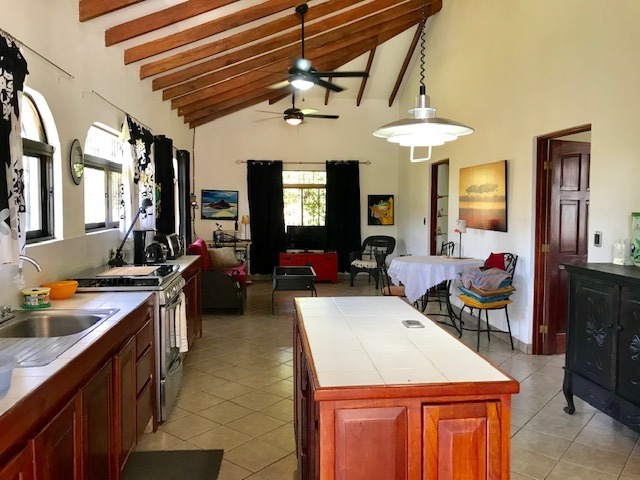 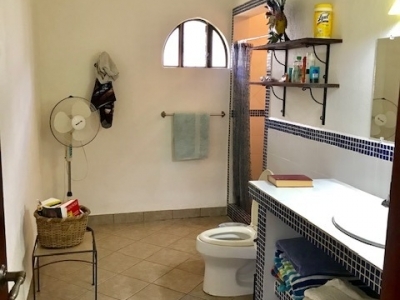 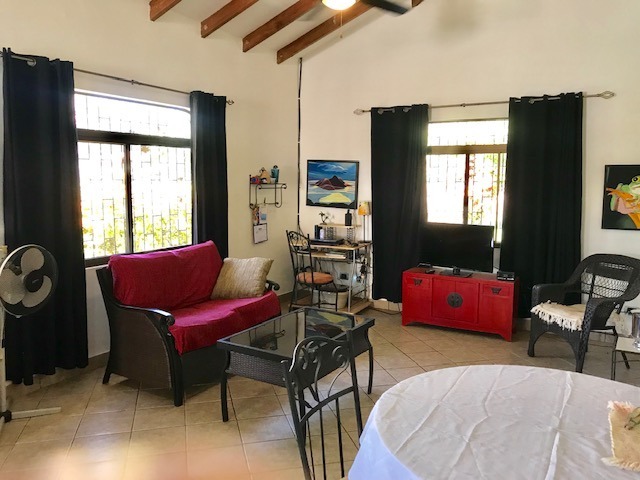 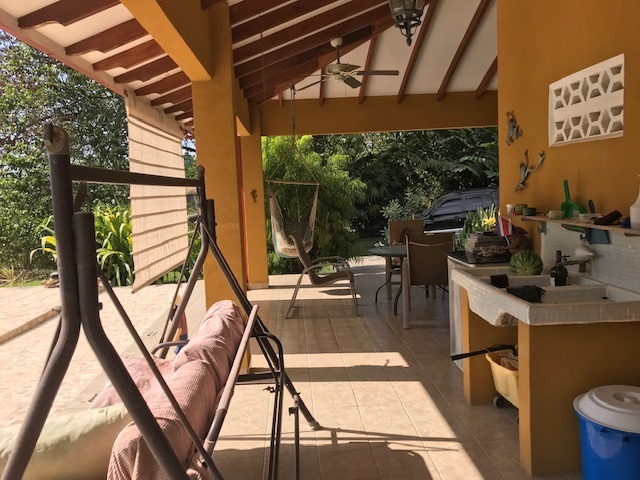 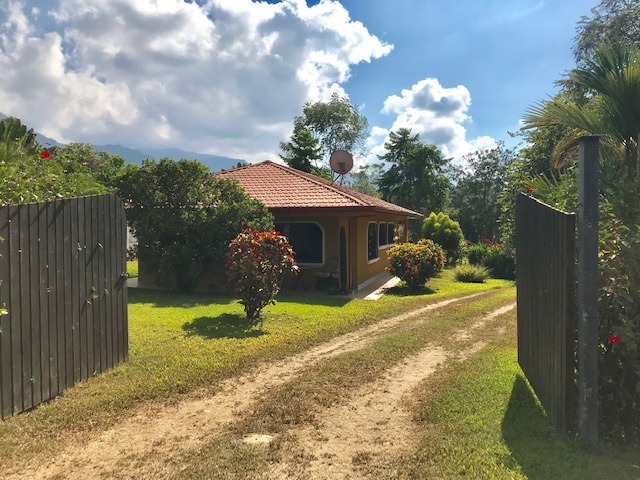 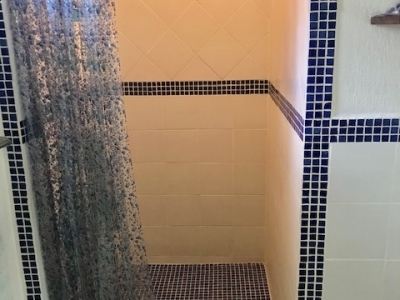 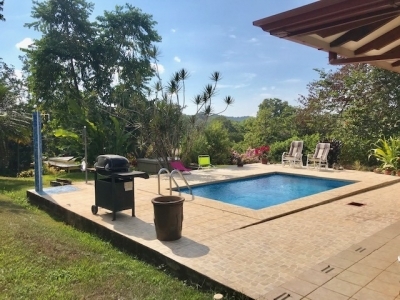 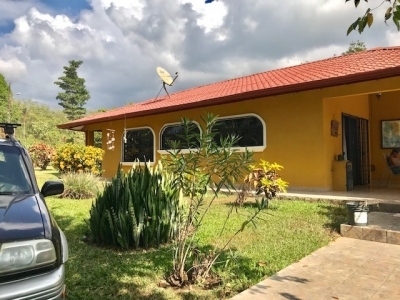 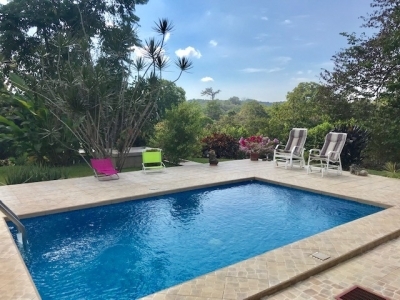 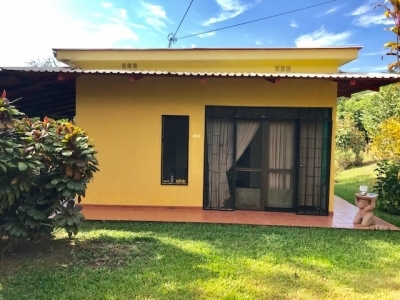 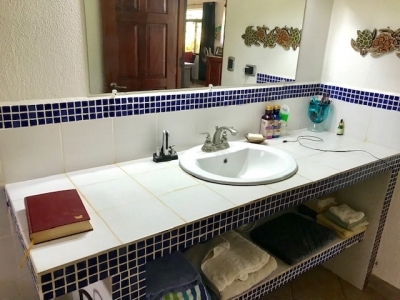 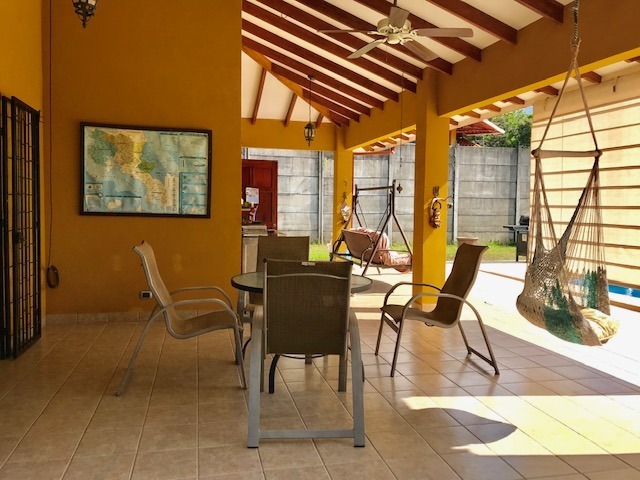 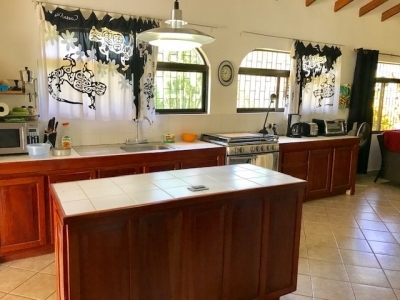 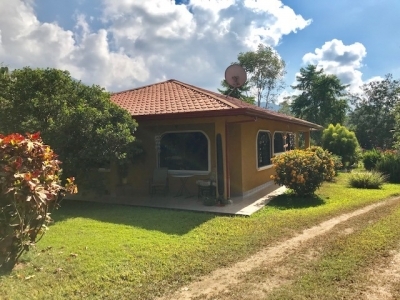 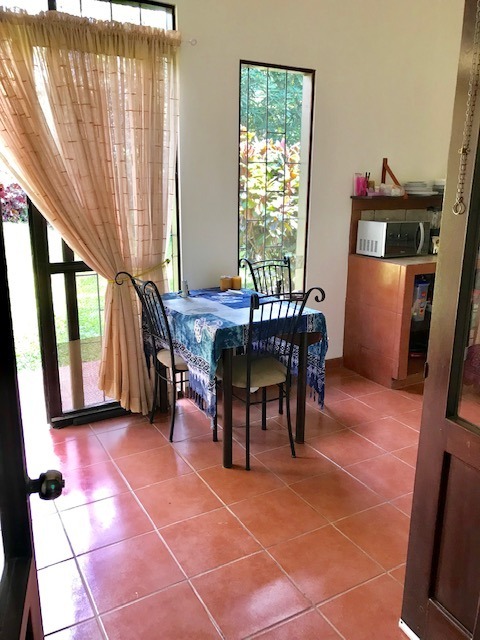 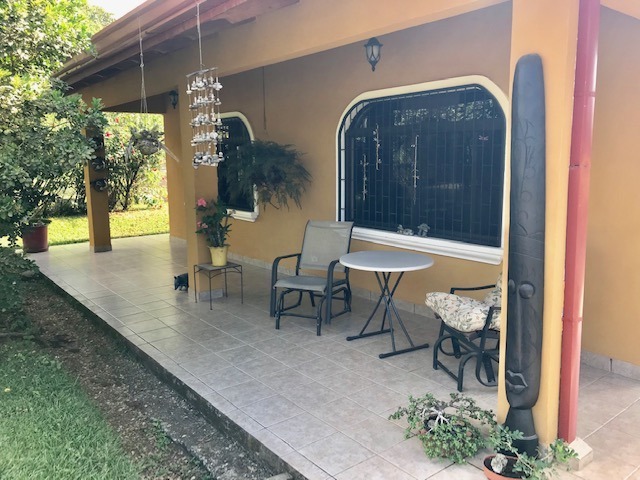 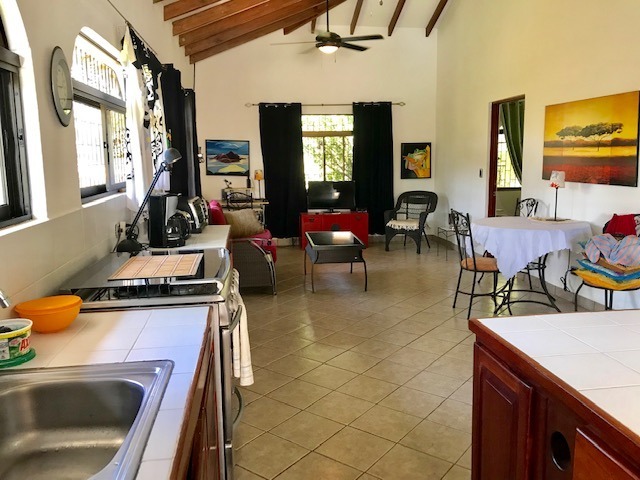 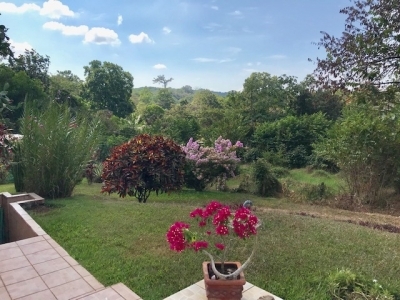 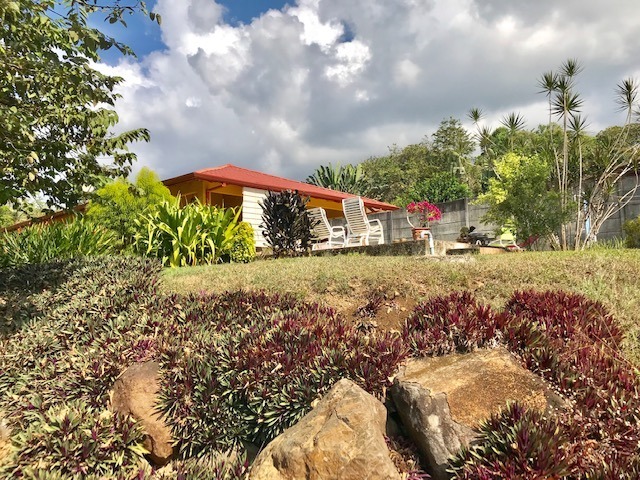 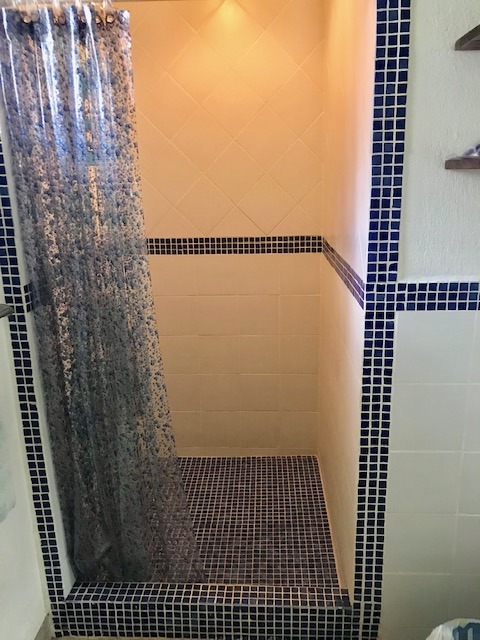 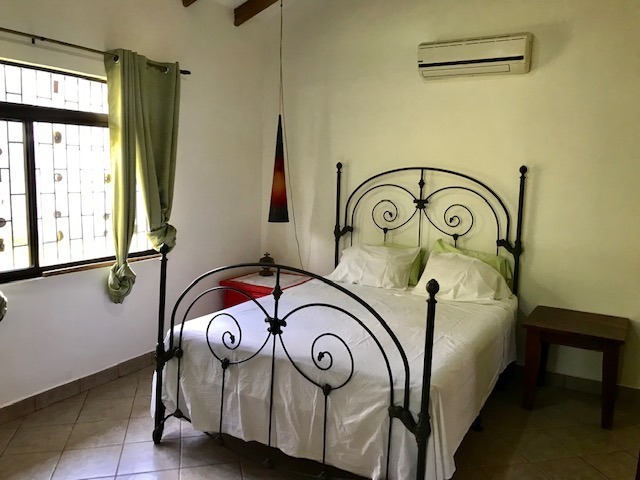 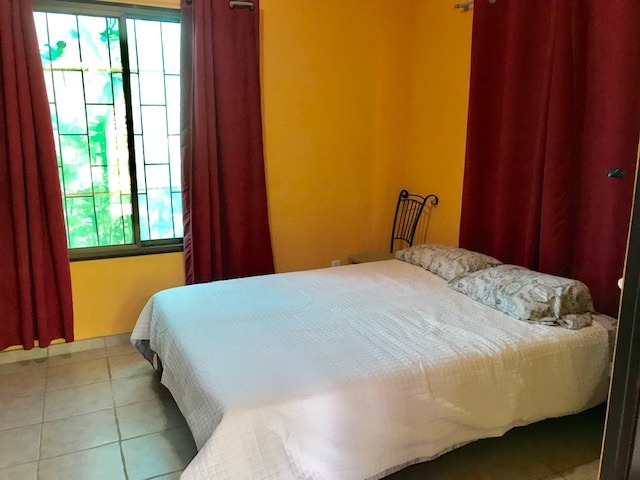 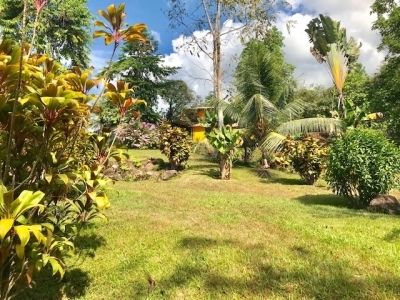 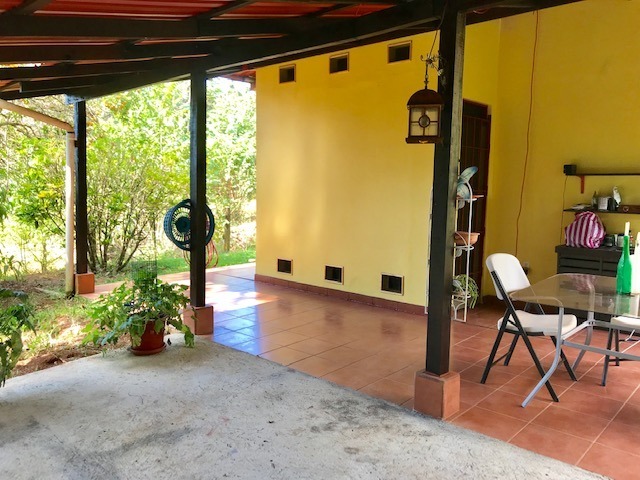 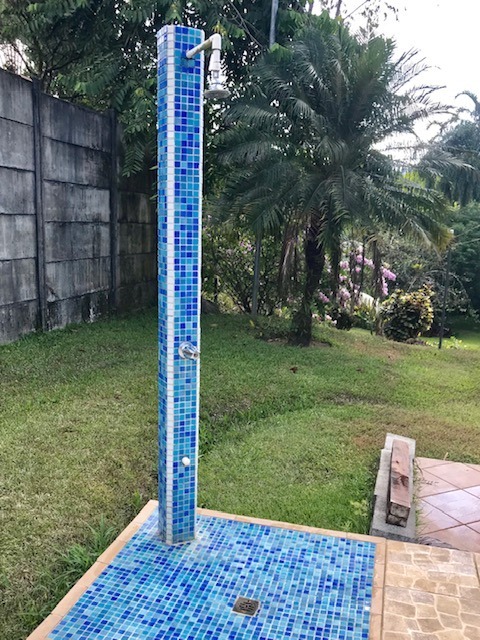 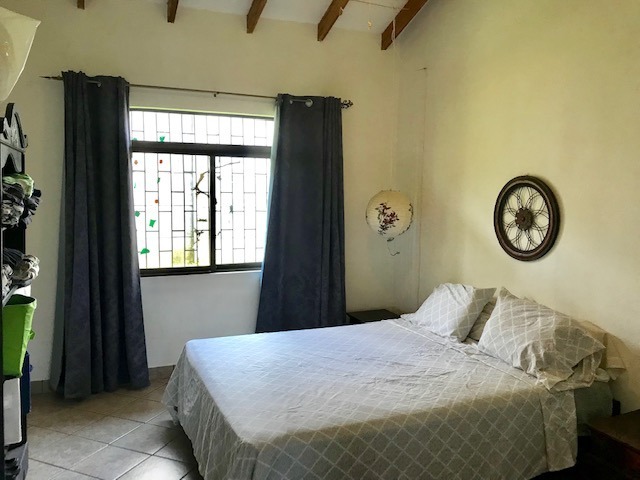 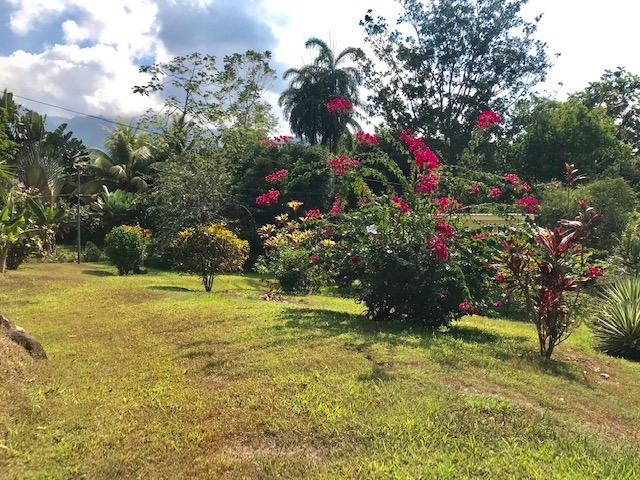 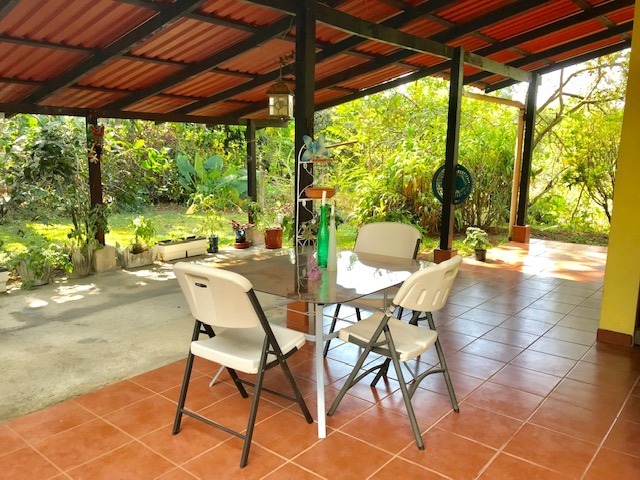 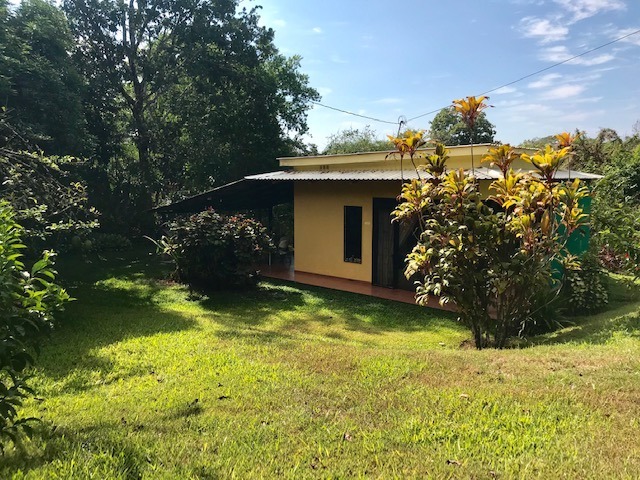 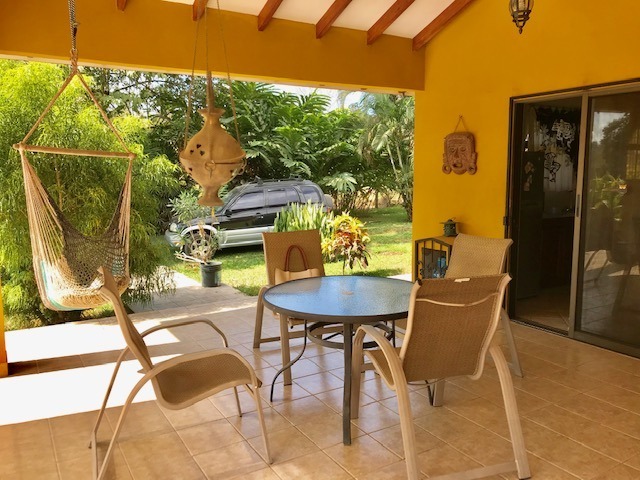 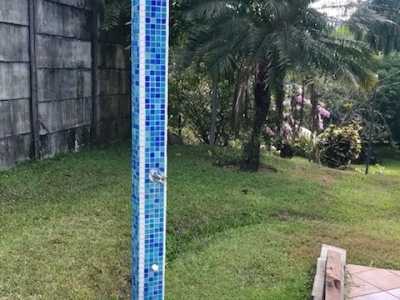 It offers a well maintained two bedroom home with beautiful vaulted ceilings, AC in bedrooms, high-end windows, stunning covered outdoor area with a tiled pool and outdoor shower. 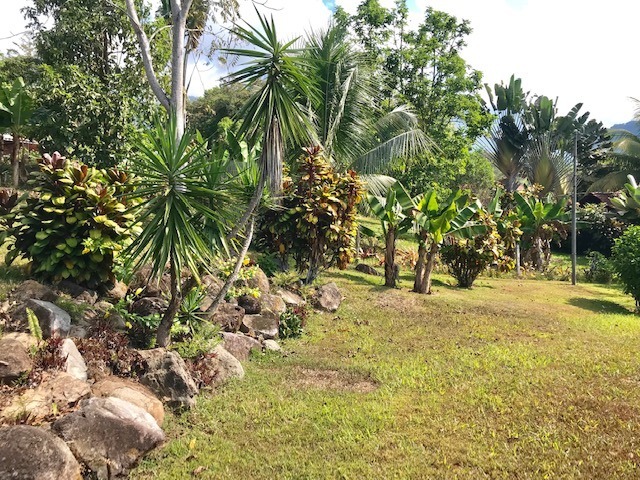 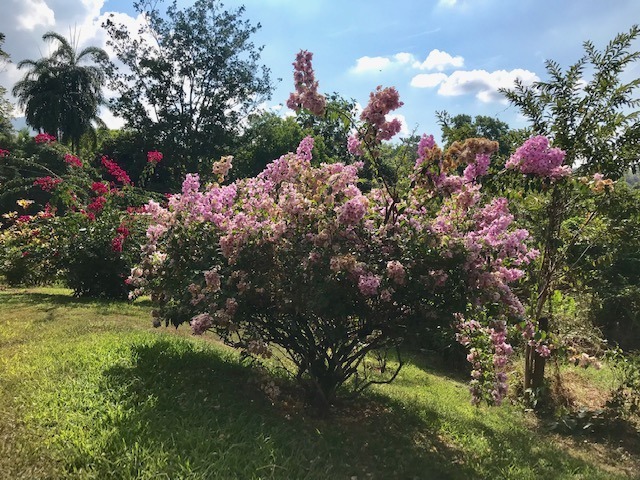 The manicured gardens are full of mature fruit trees and flowering plants. 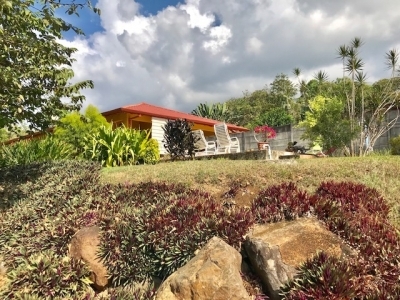 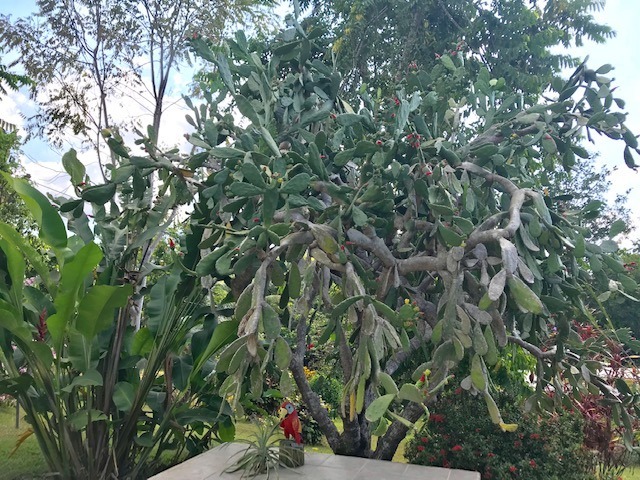 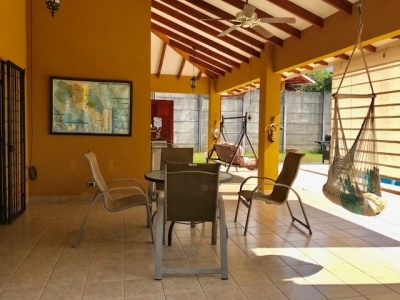 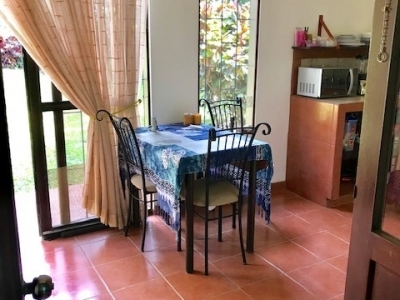 The property also offers an adorable one bedroom guest villa with kitchen, bath, and lovely outdoor area. 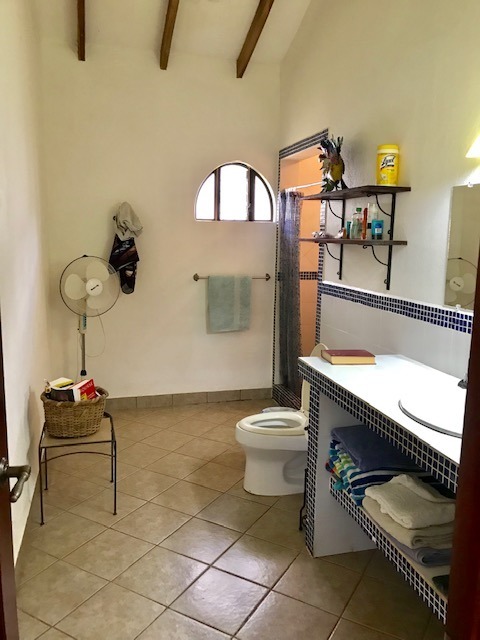 Perfect for guests or as a revenue suite. 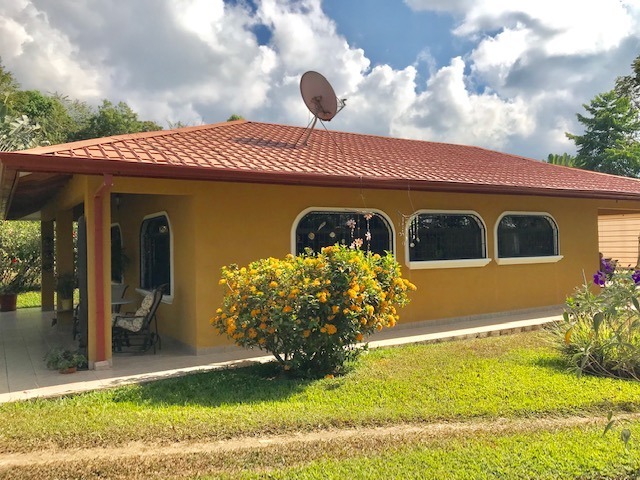 Great location with easy 2WD access, excellent internet, and municipality water and fenced yard offering much privacy. This property has it all with a great price.